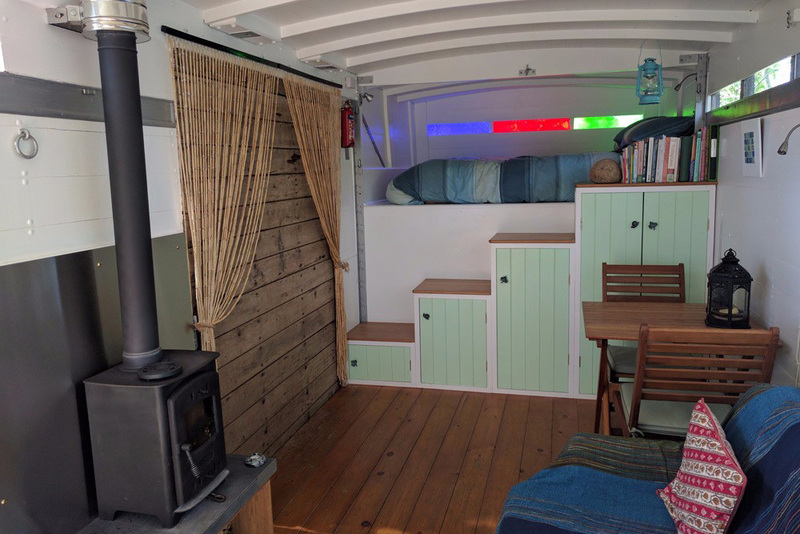 Our traditional wooden horsebox has been renovated into a beautiful, comfortable living space for two people, offering an opportunity to stay on a working organic smallholding. 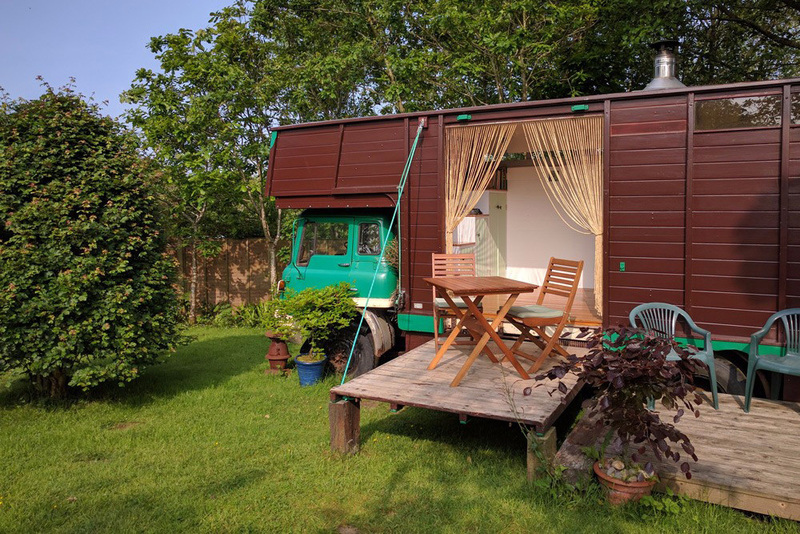 The horsebox is situated in a small wooded area with its own private garden space and exclusive facilities. The truck is off-grid, using solar electricity for lighting, a composting toilet and reed bed filtration for waste water. It’s a wildlife paradise: trees, hedges and meadows provide natural habitats for all sorts of native flora and fauna. 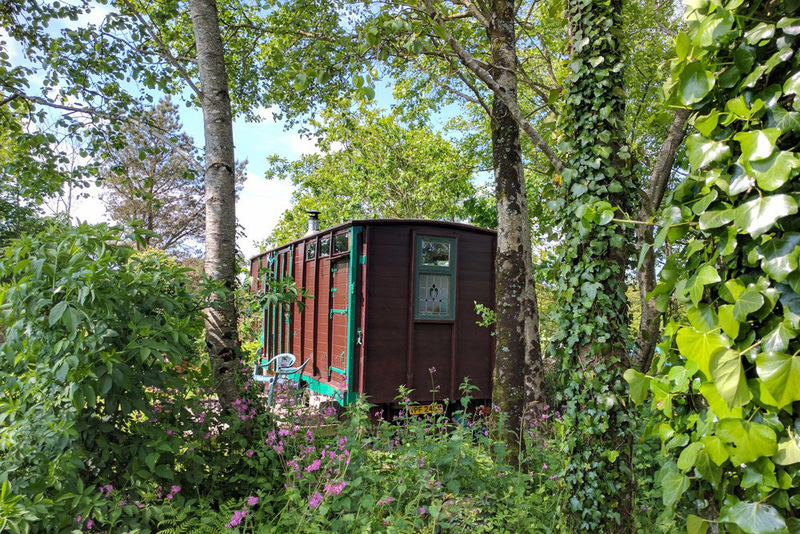 The smallholding is located in a beautiful area of Cornish countryside, on the edge of a wooded valley, 2 miles from St. Agnes and Perranporth on the North Cornwall coast, 10 miles from the South Cornwall coast. There&apos;s a short walk to The Hayman Reserve, owned by the Cornwall Wildlife Trust and the area is laced with a network of footpaths, bridle-paths and old track-ways. A short walk to the Miner&apos;s Arms, the local pub serves a great selection of food including a vegan options and real Cornish Ales and Ciders. Guests have access to any seasonal veg growing in the gardens and polytunnels, and upon arrival will be welcomed with a box of delicious rustic cakes. Extra adults or kids are welcome, and can camp alongside the horsebox or in the haymeadow.